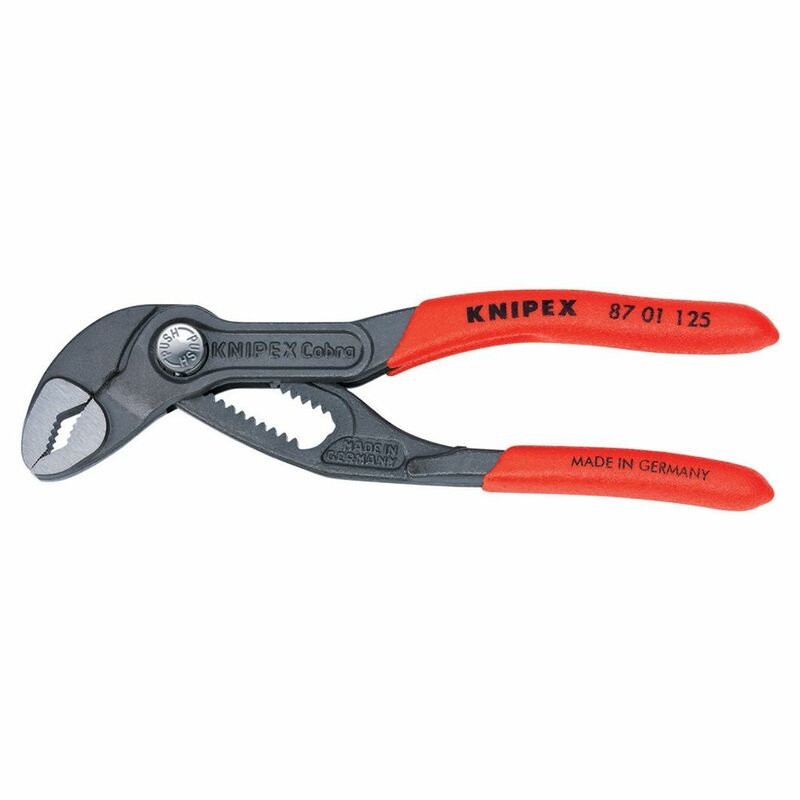 Knipex Tools is the worlds largest manufacturer of professional pliers since 1882. Knipex Pliers, Cutters, Insulated Tools and other products have been the tools of choice for Professional Tradesmen and end users who are serious about their hand tools and demand industrial quality. Knipex Tools are made from start to finish utilizing the highest quality materials. Based in Germany, KNIPEX Tools are German engineered to produce a tool unmatched in the industry in terms of features, comfort, design and performance. Lifetime Limited Warranty- This Warranty applies only to the original end-user that purchased the tool, and does not apply in any way to failures caused by misuse, abuse, alteration, accident, or tools worn out by use. Klein has the nut drivers professionals demand to get the job done. The full hollow shaft facilitates work on stacked circuit boards or other long bolt applications. Premium chrome-plated for smooth feel and corrosion resistance. The handle end is colour coded for easy identification. The patented Tip-Ident quickly identifies nut driver and size. Constructed with aerospace alloy and virtually indestructible, Klein's AEROHEAD Benders offer the ultimate in performance and durability. The traditional Benfield head style accurately and consistently performs common bends. Cast-in benchmark symbols, degree and multiplier scales help save time on the job. Klein's Demolition Scratch Awl/Punch is engineered, manufactured and tested for prying and chiseling. The heat-treated metal shaft runs the complete length of the handle to the metal strike cap. This transfers the impact force directly to the work surface. In addition, the plated metal strike cap protects the handle from hammer blows. Klein Tools CL210 is an automatically ranging digital-clamp meter that measures AC current via the clamp, AC/DC voltage, resistance and continuity via test-leads, and temperature via a thermocouple probe. Exclusively designed from the ground up by electricians for electricians. Years of field research, combined with extensive input from electricians across America, inspired the development of meters loaded with innovative, time-saving features. 5 Inch Cobra Pliers Knipex Tools is the worlds largest manufacturer of professional pliers since 1882. Knipex Pliers, Cutters, Insulated Tools and other products have been the tools of choice for Professional Tradesmen and end users who are serious about their hand tools and demand industrial quality. Knipex Tools are made from start to finish utilizing the highest quality materials. Based in Germany, KNIPEX Tools are German engineered to produce a tool unmatched in the industry in terms of features, comfort, design and performance.